Sodium Methylate/ Methoxide 1) Used in pharm, biodiesel,etc. It is used in manufacturing detergents and biodiesel. It also act as catalysts in polymerization and isomerizations. : 124-41-4 Purity: 99% min Sodium Methoxide Specification Analytical Results Appearance W hite P owder W hite P owder Content 99% 99.08 % Dissociate A lkali &lt;0.5% 0.1 8 % Conclusion Qualified 1.Organic Chemistry: sodium methoxide can be used in synthesis of several chemical compounds such as pharmaceuticals and agrichemicals; 2.Pharmaceutical Industry: sodium methoxide can be used in the manufacture of substances such as Vitamin A1, Vitamin B1, Trimethoprim (TMP), Sulfadiazine, Sulfadoxine, Sulfamethoxypyridazine; 3.Biodiesel Industry: sodium methoxide can be used as catalyst for b iodiese l extraction; 4.Sodium methoxide can be used as an edible catalyst as well as an analytical reagent; 5.Sodium methoxide can be used to initiate anionic addition polymerization of ethylene oxide ; 6.Sodium methoxide can be u sed for processing edible oils and fats and also in the preparation of other chemicals . photos: Free Sample: we provide free sample within 500g, freight on customers; Good Price: we have our own factory, we have been in this line for many years, we know the market, we gurantee customerscan get a good price with hjgh quality; Stable Quality: we are factory, we control the quality from the very start; Prompt Delivery: we got stock, monthly output 500ton; Professional Operation: we have professiomal sales and shipping agent, gurantee your order treated professionally. Timely Followup: we will timely follow up the use condition and sales condition of customer and adjust our service accordingly; Timely Market Feedback: we will actively provide the market conditions to customers, latest price, stock, policy, etc Replace Thinking: we will actively think for customers, all for the sake of customers, try to solve problems for customers Timely Claim Results: we will positively deal with claims from customer, never ever escape from it, we take responsibilities. Specifications Sodium Methyl Paraben crystalline,Preservative Methylparaben,Methyl paraben 1.Competitive price 2.Quality guaranteed BP/EP/USP 3.Prompt delivery 4.Good after service Methylparaben Item Specification Q/SH008-2000 B. P2000 USP29-NF24 Characters / Colorless crystals or white crystalline powder / Purity (on dry base) % 99 99.0-100.5 99.0-100.5 Melting Point &deg;C 125-128 125-128 125-128 Acidity qualified qualified qualified Sulfate(SO42-) % &le; 0.024 / / Loss on Drying % &le; 0.5 0.5 0.5 Residue % &le; 0.1 0.1 0.1 p-Hydroxybenzoic Acid and Salicylic Acid % &le; 0.1 / / Related Substances / qualified / Appearance of Solution / Clear / Organic Volatile impurities / / qualified Identification / / qualified Related Products Pharmaceutical Intermediates Feed Additives Human API Food Additives Veterinary API Excipients Vitamins Minerals Herbal Extracts Amino acids Our Advantages Our Company How to contact us If you are interested in our products, Please contact us ! you can Send your Inquiry Details in the Below ,Click " Send " Now! Cas 124-41-4 Sodium Methylate Solution Sodium Methoxide Sodium methylate CAS No. 2. We can get full support from our suppliers in China on price and suppliability. 4. We have professional logistics and warehouse at many ports. It can also be used in bio-diesel industry. Besides, it can be used as edible catalyst and analytical reagent. It should be kept away from flame, heat resource, antioxidant, acids and storaged and transported isolatedly. 7. Storage & Transport: It should be storaged in cool and dry warehouse. It should be kept away from flame, heat resource, antioxidant, acids and storaged and transported isolatedly. Within years' development, our core competitiveness has been firmly formed and developed. It can also be used as food catalyst and analytical reagent. 2. Do you supply sample9 Yes, we can supply some samples for your test. We'll give you product analysis report before shipping. Sodium Methoxide-Methanol Solution 1. Properties: Colourless to slightly yellowish, viscous liquid, the sodium methoxide that dissolved in methanol. 2. 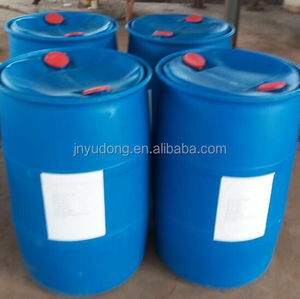 Specification: properties specification Appearance Colourless to slightly yellowish, viscous liquid Content (total alkali) 29.5%31.0% Sodium Methoxide(NaOCH 3 ) 28.9-31.0% Sodium Hydroxide(NaOH) &le;0.5% Sodium Carbonate(Na 2 CO 3 ) &le;0.1% Moisture(H 2 O) &le;0.2% Methanol 69.0-70.7% 3. Use: Mainly used in pharmaceutical industry such as the manufacture of vitamin A1, vitamin B1, sulfame-thoxypyridazine, sulfadiazine, trimethoprim and so on, as well as in biodesel industry. 4. Packaging & Storage: ISO TANK: 20-22MT/TANK IBC: 940KG/IBC Steel drum: 200Kg/drum Store in cool and dry warehouse; Keep away from flame and heat; Separate from oxidant and acid during storage and transportation; Handle with care, and maintain the integrity of the packaging. It can also be used in bio-diesel industry. Besides, it can be used as edible catalyst and analytical reagent. I will reply you asap once received your inquires. Thanks ! Alibaba.com offers 268 sodium methylate methoxide products. About 48% of these are pharmaceutical intermediates, 32% are syntheses material intermediates, and 19% are catalysts. A wide variety of sodium methylate methoxide options are available to you, such as agrochemical intermediates, pharmaceutical intermediates, and syntheses material intermediates. You can also choose from free samples. There are 262 sodium methylate methoxide suppliers, mainly located in Asia. The top supplying countries are China (Mainland), India, and Poland, which supply 96%, 1%, and 1% of sodium methylate methoxide respectively. Sodium methylate methoxide products are most popular in Domestic Market, Western Europe, and Southeast Asia. You can ensure product safety by selecting from certified suppliers, including 37 with ISO9001, 10 with Other certification.